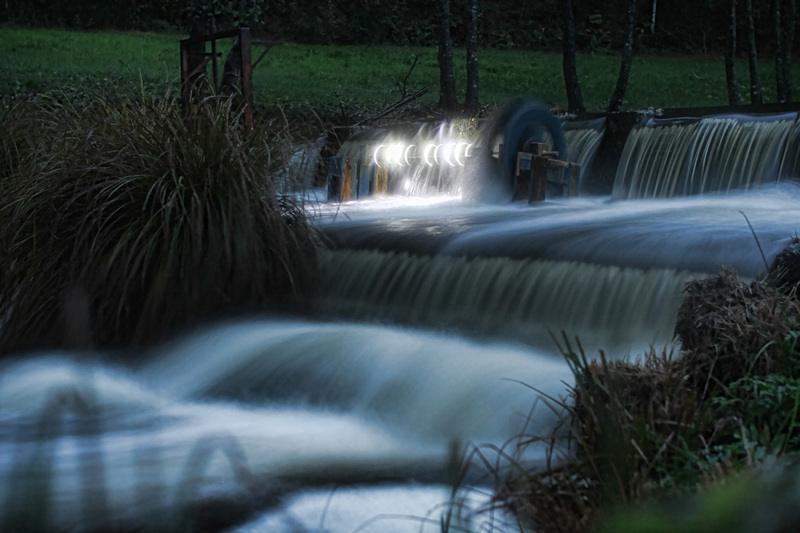 The work was produced while in residency 12 Miradas Riverside in Galicia, North of Spain. 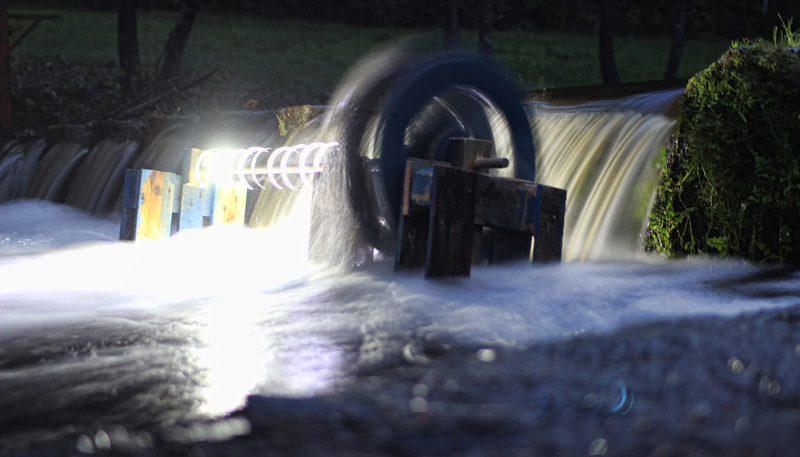 We were particularly interested in watermills, which used to be applied for various works in the past like making flour, for iron works, producing energy and more. 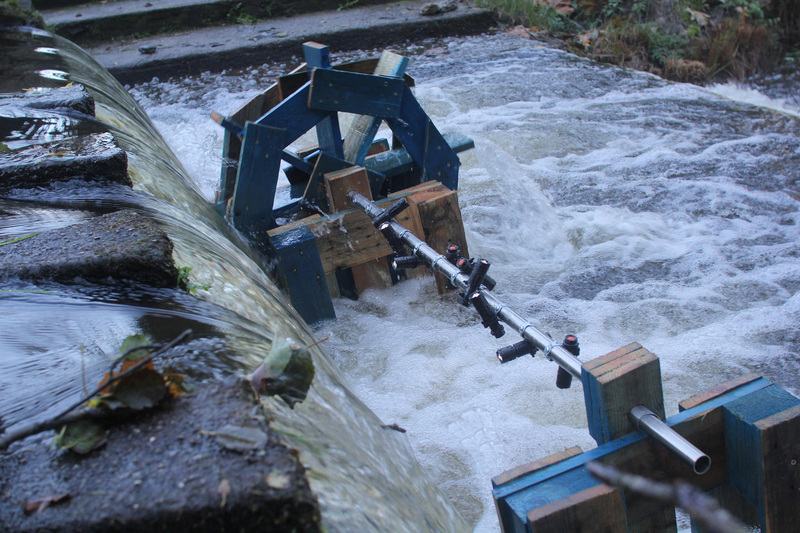 However, today only few mills are functioning. 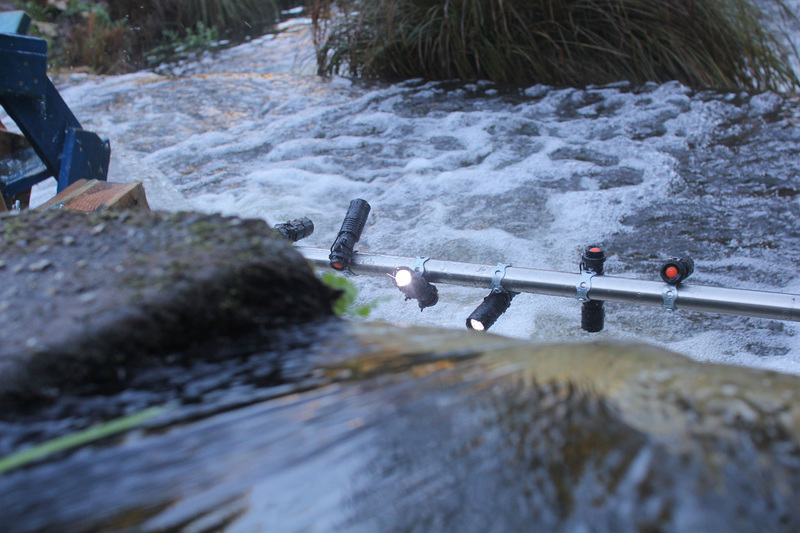 From this came an idea to make a mill that produces a light play on the local river. We have used materials what we had: pallets and light torches.